Talk about an emotional ride! 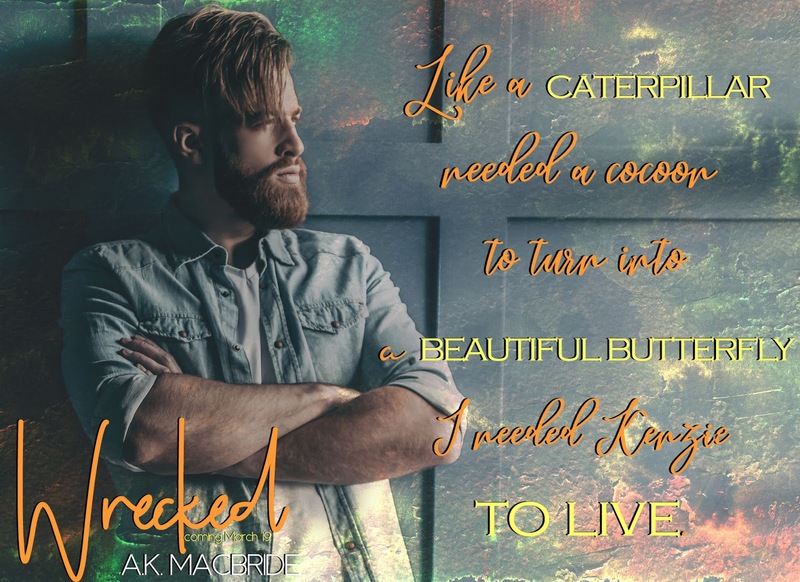 Wrecked had me biting my nails, yelling, crying, and completely swooning constantly and I loved every second of it. A.K. MacBride has outdone herself with Brett and Kenzie’s story making me fall even more in love with everyone in Willow Creek. With a journey that began years ago these two have quite an uphill battle to finally reach their HEA. Weaving the past and present together to create the full picture of all they have gone through and just how powerful the love between them really is their story is one that completely takes over once you pick it up. 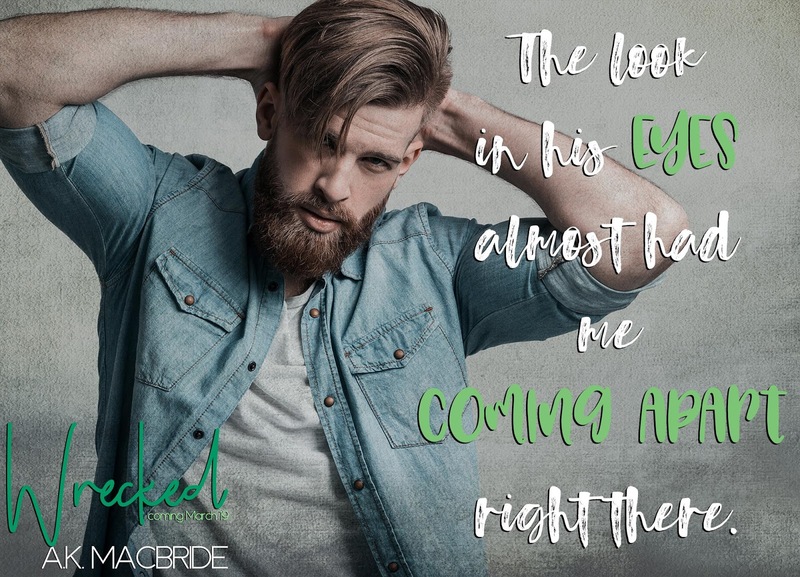 As Brett and Kenzie both battle their way through the emotions of the past and secrets unfold you’re kept on the edge of your seat waiting to see what will come for these two. OMG! What an emotion roller coaster of emotions. 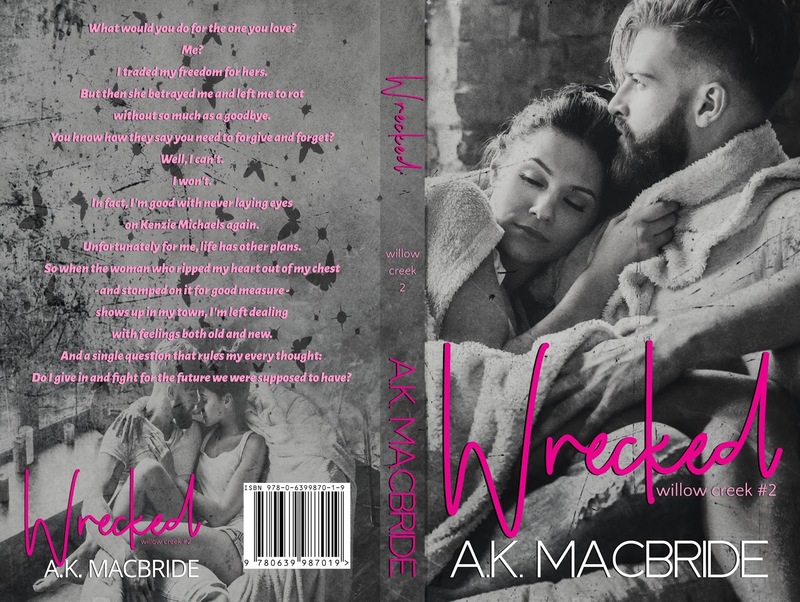 This is a second chance romance that will pull you in from the beginning. This is one of those books that you feel what the characters are feeling, and I love it when a story pulls me in like that. This is the second book in the series, but can be read as a standalone. This book revolves around Kenzie and Brett. Their love story is not an easy one, but is one that is worth fighting for. Question is so they think and feel that way?! There is so much hurt, pain, and betrayal that needs to be worked through. You will be on the edge of your seat flipping through the pages, because you are gonna want to know what happens. Author of romances that leave you with ALL the feels.